Can't wait to see this movie! 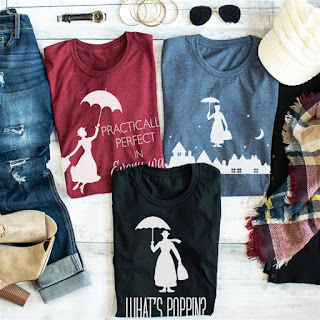 Right now these Mary Poppins Tees are $13.99 (Retail $27.99). These tees are practically perfect in every way! They are perfect for visiting the happiest place on earth! With unisex sizing, these make the perfect gift! Dress them up with your favorite cardigan and boots! $3.99 for the first item and $1.99 for each additional item. US only. Seller usually ships within 5 business days. Ships no later than Mon, Dec 31.